Christmas tends to have people divided – those who absolutely do and those who just cannot. I’m very much in the absolutely do camp, and I start with the small touches around about now. I usually like to begin with Christmas cards. I know its somewhat a dated tradition but I’m a fan of tradition and most quaint things – Christmas cards appeal to my love of penpalling (1500 people shout “GEEK!). For those of you who want to give a card that might be repurposed as a beautiful decoration for years to come, this is the perfect collection. I particularly love their 3D house card (above) – it pops up right out of the envelope and is really sweet. It sort of reminds me of the little cottage in Haigh Hall (hello, Wiganers!) over Christmas, which is really beautiful. The top image is a Christmas Tree popup, which is another favourite and yet another that can be used year after year – I think I’ll feel a bit wary of spoiling them with writing, so I’ll just be enclosing a little notecard with each card I send. 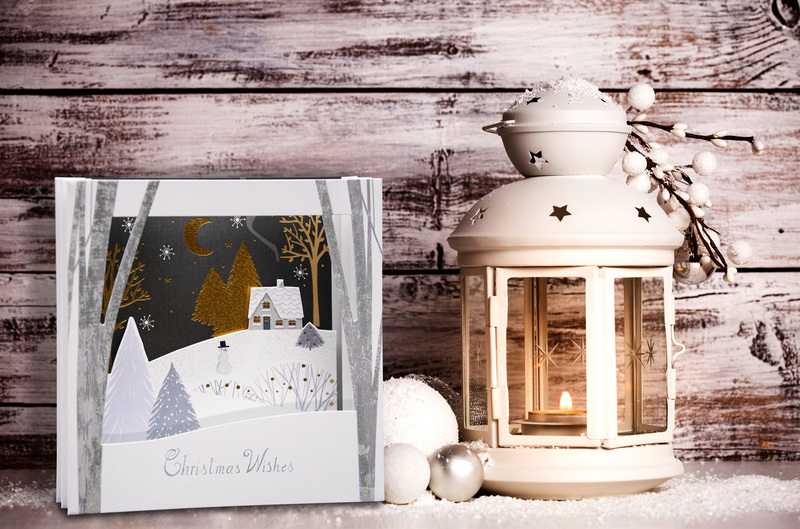 Last but not least I was sent this lovely Christmas scene popup – which is like a 3D snowscape, the house and trees fall in the background while the branches and “frame” pop to the front. This is a more traditional, simple 3D style but the colours really make it feel luxurious. At approximately £8 for a box of 5 I’d say it’s really good value – when you consider a lovely popup birthday card might cost you in the region of £4-5 on its own. Now if you’ll excuse me, I’ve got some carols to practise.